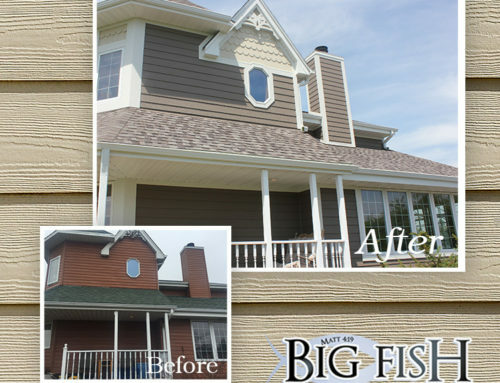 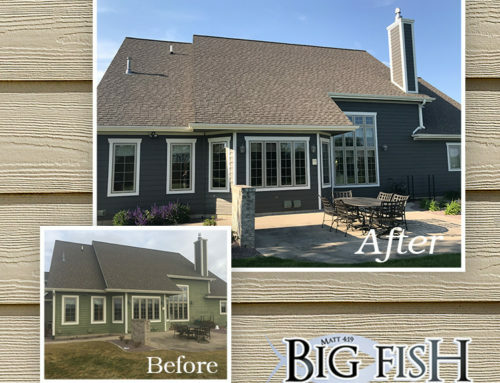 This exterior home transformation by Big Fish Contracting can be found in Wales Wisconsin right behind LeDuc’s Frozen Custard. 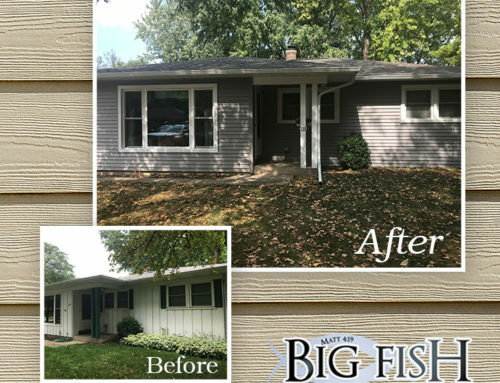 The guys spent a few lunch hours there for sure! 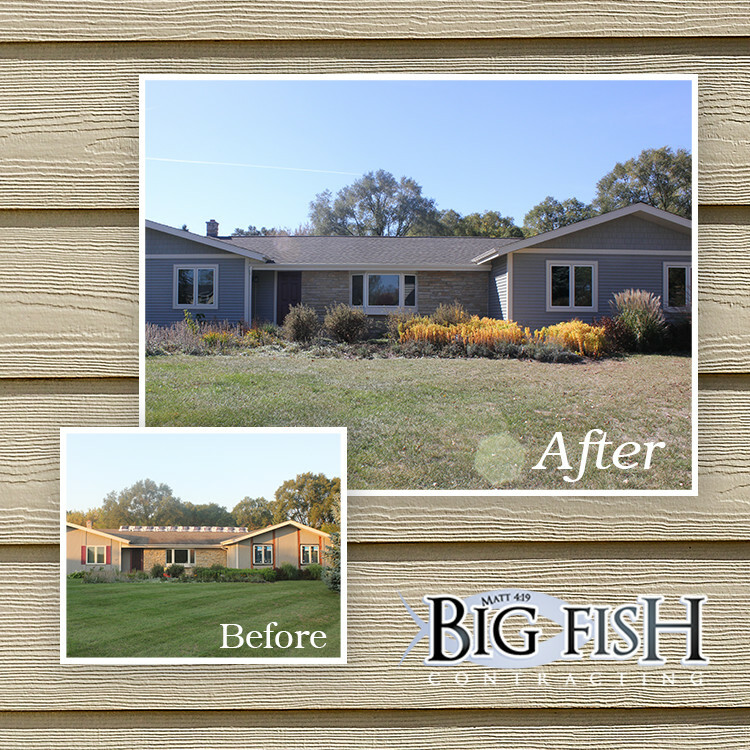 We installed a new roof, gutters, aluminum soffit and fascia system and a complete re-side with Mastic Carvedwood Double 4″ vinyl siding. 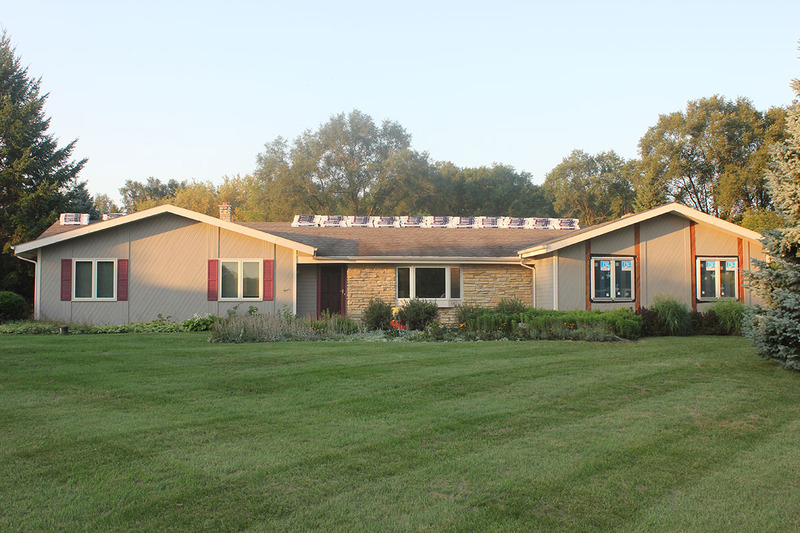 this home was completed probably 8 years ago. 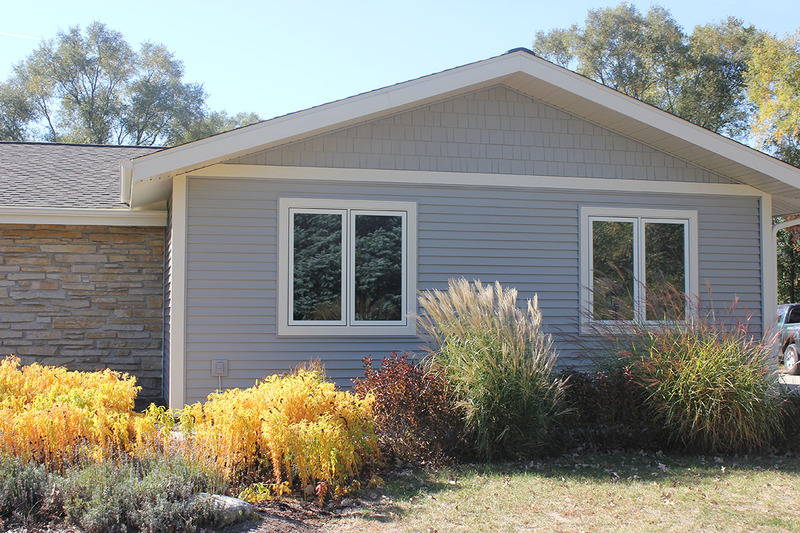 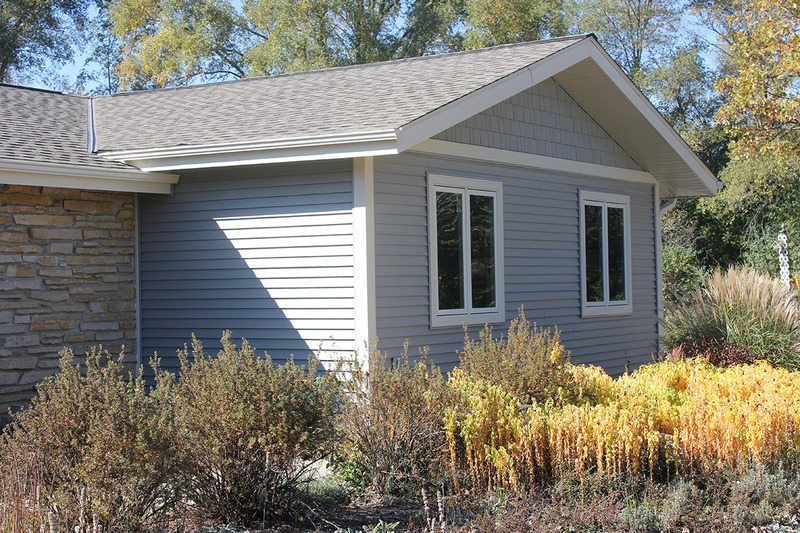 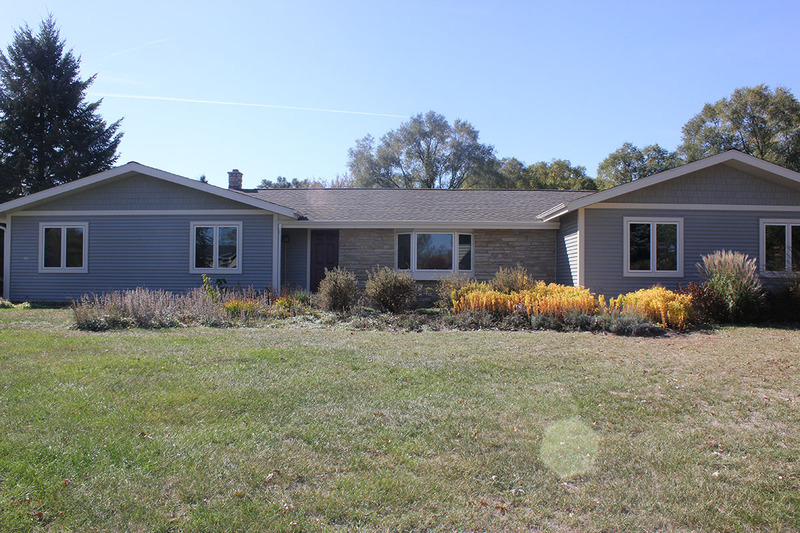 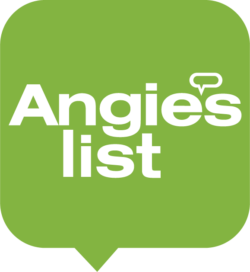 We have since resided these customers new home which they built in Dousman, WI. 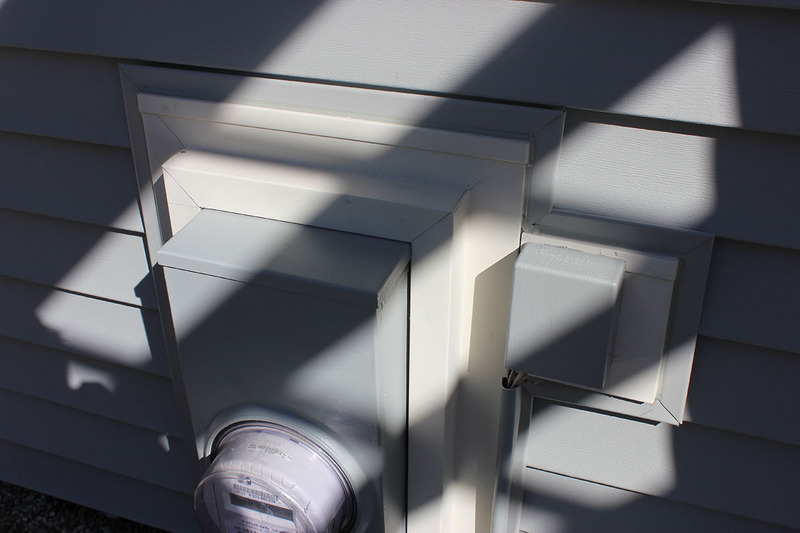 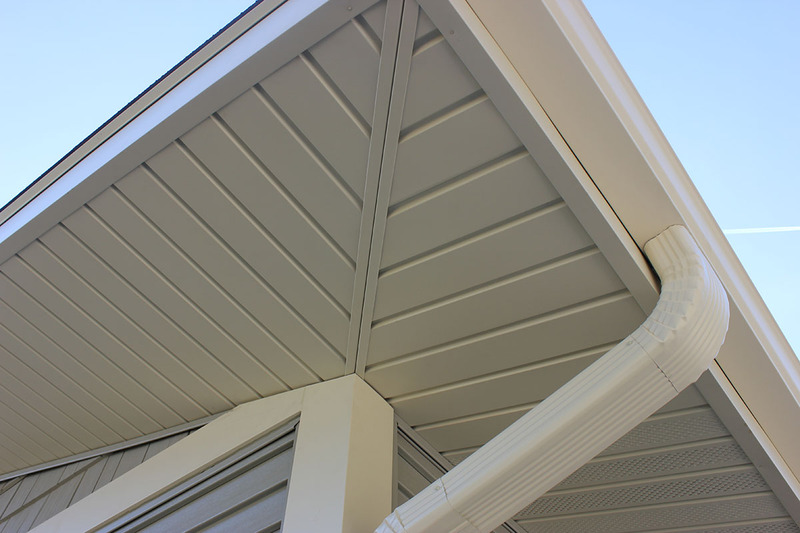 Notice the detail in the aluminum work around the electrical box and on the soffits!